And another warning, this project failed utterly. The foam was just too old, too much of the rest was damaged beyond recovery or so cheap it should not have been used in the first place. I’ve had a hundred foam airplanes, the tail surfaces warped like nothing before. I grafted the tail of a Fun Cub on, it wasn’t worth the effort. 11 May 2017 (We.) I’ve lost track of how many times I’ve done fiberglass on this airframe, in about the ninth and tenth time the upper ailerons were fixed in position and some more minor dents spachteled and sealed. It might have been warped up the whole time, on application of fiberglass hardening of the horizontal stabilizer it was evident the right side was up. It’s starting to feel like too much fiddling with this airframe. 02 May 2017 (Tu.) It was time to do it. Although not run up with them, two high discharge 3S 850 mAh LiPos were ganged together. I’ve forgotten the balance point. It may be tail heavy and it pulls up too much on application of power. The top wing flutters at some speeds and attitudes. So bad that the upper wing went blurry. The left aileron was not secured, the corrosion made the nut feel tight, it wasn’t. The flight was stopped way early. 30 April 2017 (So.) 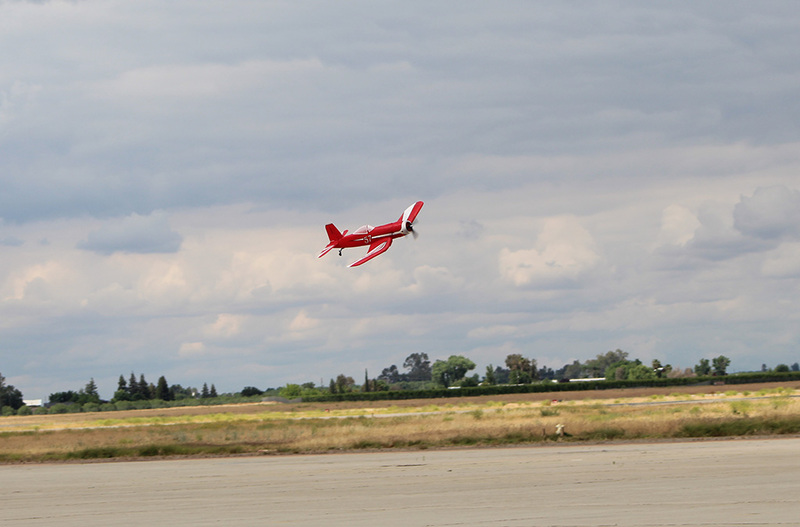 The airframe is now built out to an RC airplane. All that is left is to fit batteries and go fly. The white plastic motor mount it came with was not going to function by just redoing the back side with fiberglass. The hack job done by the previous owner and the small bolt circle for the three screw mount transmission were just too on the not enough. So, a plywood plug was fitted (to be drilled out later) and another bigger plug, a single layer of fiberglass in between, two over the top, were done. Sanded even, not much fiberglasss left on the front, but it should have enough strength to secure the transmission(s). Well, after fooling with it some, it wasn’t worth doing. Just too much clearancing for the folding propeller. I’d be better off just making a new mount out of aluminum. After reviewing the situation, all of my RC fleet is over old, the foam tired, it’s time to start over with fresh airframes. There is only one thing holding me back, money, or rather, the lack of. As it turns out one of the last places to get Multiplex stuff anymore is the best venue anyway, Discount Hobbies in San Diego CA. In the “musical chairs” of finding a summer project I wound up in Rialto CA, so, the hobby shop in Corona (Hobby City) is the venue of choice. They can’t remember who to order a Twin Star II or Fun Cub from. So, I bought parts to build out an Horizon Hobbies Apprentice at Hobby City (Corona CA) and since the only easy source for a Multiplex kits is at Discount Hobbies (San Diego CA). This will be my third personal Gemini and the fifth I have reinforced. 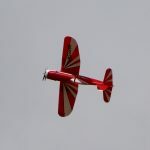 Now obsolete (no longer in production) they are great sport biplanes as in semi-scale, and semi-aerobatic. 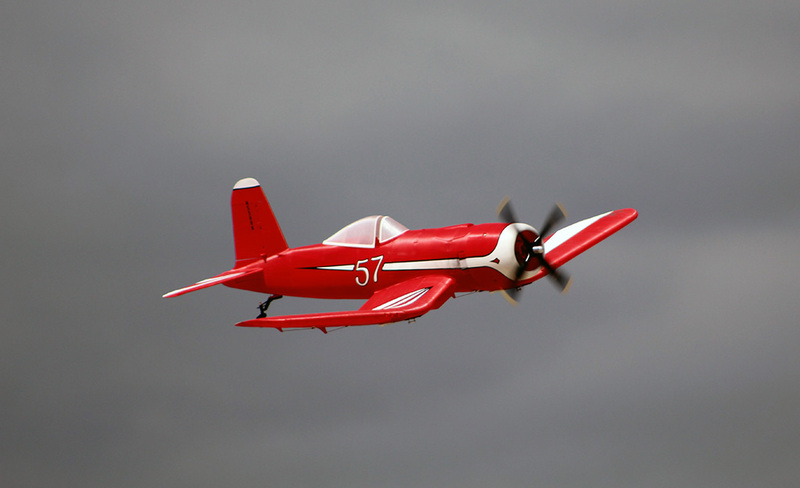 Actually, it is about as aerobatic as the airplanes it is a model of. Between a friend, and, in Germany’s Rhein-Main with a couple of dozen RC airplanes at our disposal, when we just want to go over to our flying place (a farm field with all-weather access roads) to relax and play with RC airplanes the Gemini is THE favorite with the Twin Star II in brushless for use on days with a little more wind or mud. For the Gemini it takes reinforcing the nose, for the third and fourth ones we deleted the landing gear, modify the nose (clearance and fiberglass reinforcement) for folding propellers and reinforcing the wings. We liked them so much that dismayed when our first onew wore out (two hundred and one hundred and sixty flights respectively) we found new, old stock kits. Furthermore, they fit in my camper. A close alternative, and still available, is a Reinforced Fun Cub, also covered in an archived SDFSD article. This is an original year 2017 article for the Silent Electric Flyers of San Diego. In the SEFSD archives is a previous article about building up a Reinforced-Gemini from new kits and the experience of twenty different propulsion combinations. 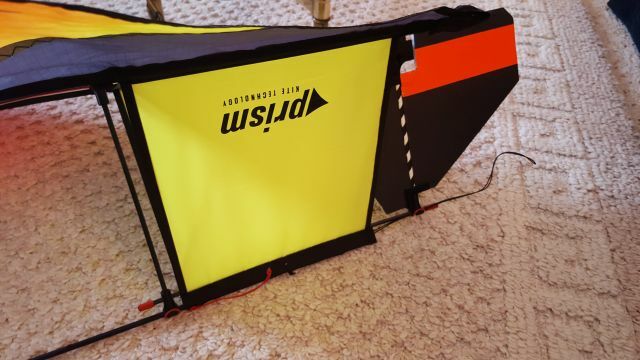 This new article goes over the common mistakes made by a first owner and trying out a couple of new propulsion components including two that should be the “ultimate” choices. That correcting mistakes, and the advantages of correct propulsion, are what transform my notes to a general interest article. While we are at it lets laugh, and cry, about an 60s era Aero-Commander (a sort of full scale Twin Star II, what the author flew by RC while building back up a Gemini) derelict, on Corona CA Airport. Somebody fitted it with new engines over twenty years ago as the start of a general build back up, however, the owner fell out, the motors remained open while the airframe sat for twenty years (which ruined them) the interior and propellers lay about in a garage, until the $1500- it is worth as scrap pales in comparison to the mechanics lien, unpaid tie down and back taxes. And seeing the remains of a Piper Apache, another just after WWII general aviation twin, the type of which the propulsion (engine, propeller and all the stuff attached to them under the cowl) had been retrofitted to my father and I’s last airplane, a 1956 Piper Pacer PA-20, started out in. My father bought one like it new, his second one was older than I am. As preparation for ours, I helped overhaul two other ones, at which the conclusion was, ours wasn’t worth it. Full size or RC there is a place on the curve where writing it off is the best option. For our Piper Pacer (the basic engine was in ok shape, the propeller already recently overhauled) replacing the, some of them obsolete, entire instruments alone would run an estimated two hundred hours and fifteen thousand dollars plus recovering it and… The twin Apache with it’s retractable landing gear wasn’t just two motors more complicated, more like four times, no wonder it’s remains sit at the Oakdale CA airport. That puts the thirty hours of sanding, fiberglass and writing this up plus a couple of hundred dollars outlay for an expected sixty RC flights (at twenty minutes to half an hour a flight) in perspective. Maybe a good direction for me, looking for something which could be transported in my camper and used wherever I happened to be, would have been Multiplex Park Master Pro. Available complete ready to fly (less battery and receiver plus the usual RC stuff) over the counter for $230- plus tax at Discount Hobbies in San Diego Ca and needing only a couple of batteries in addition to the stuff I already have. That would put the investment at about $275-. But the friend with one wasn’t that enthused about his, what we flew most were Twin Star IIs and the out of production Gemini. But, the Park Master Pro is for not more than walking speed winds and I like to fly in the wind. A former slope soarer, to me the wind is a fascinating ally and opponent both. Thermals, yawn, even if I recently put a Multiplex Reinforced-Merlin out in Hidden Valley way over the Mission Bay altitude limit riding one on up to the limit of my eyesight. As a club safety officer once put it; “Please tell me that dot up there isn’t your airplane and quit laying on your back to fly”. I have since reformed myself, but out where there is room (way outside San Diego) have an occasional relapse. My stuff must be able to withstand rough field landings, with it’s almost zero forward landing speed and long landing gear a Park Master (Pro) will. With other airframes rough field landings usually require folding propellers and some reinforcement. But the worst about a Park Master Pro was not having three hundred dollars for a new toy. I priced out refitting my beat up, bought last year for the new motor and computer radio it contained (full size) Apprentice. That figured in at around $110- for replacing all the airframe parts. The new motor (with an epoxy stirrer for a propeller) and a radio and receiver I wanted were the real deal. The three dead 3S LiPos went in proper disposal. The airframe was beat up and patched as I bought it, in a moderate dive the tail went into flutter, the wing should not be further repaired. In short with the exception of the new cowl the airframe was done, I didn’t trust the (possibly) beat up servos and motor controller either. Now with more experience on others Apprentices I consider them an excellent choice for out of the box trainers. A careful balance between decent quality, average time between crashes and durability. 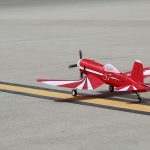 Who, other than the author, expects over a hundred flights out of such an RC airplane anyway? Except that the Apprentice as it comes with the motor mounted to the fuselage firewall with a canopy, if you hit the nose, you break it. And only a specific motor with extension fits. What’s the fun in that, if you don’t have a runway? I had a pile of motors, correct for the Apprentice size, I wanted to try, which won’t fit. I wanted a front mounted motor (gone out of fashion) so I could play with different combinations. I find the search for optimum interesting. For the Apprentice I’d have had to designing and build a whole new nose. Easy enough in a shop, but not in a camper. That getting things really right, along with basic quality and good flying skills are why I am considered a bad example. 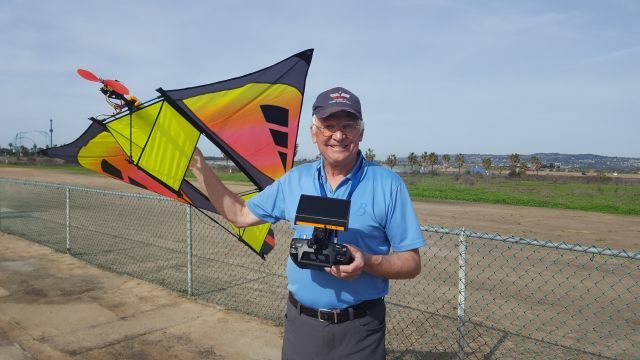 The club members out in Corona CA were slightly dismayed at what I could do with their worn out Apprentice, using new batteries, propeller, a motor controller set up outrunner correct and my flying skills. “If I knew it still flew that well I wouldn’t have sold it”. As in half an hour flights including a dozen touch and goes plus inverted. 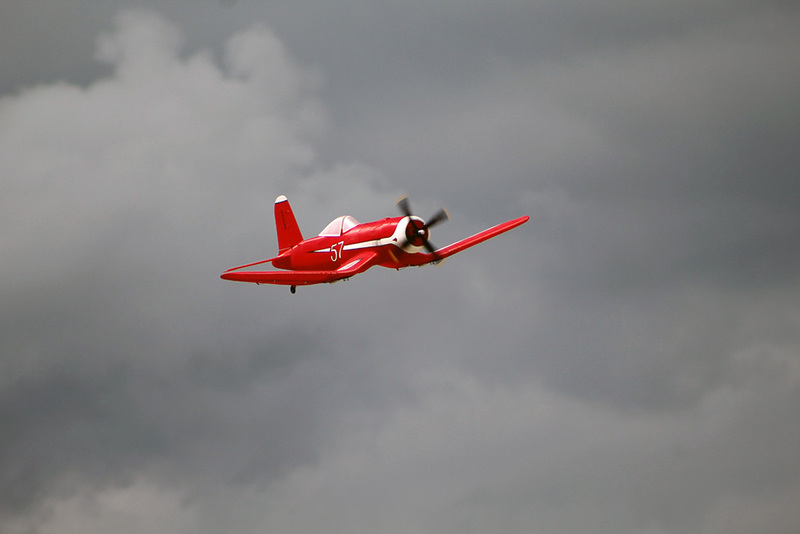 Blast off the runway, do a roll, half split then glide for a while. I had to keep the speed in a dive down though as the damaged and repaired tail went into flutter and it won’t due to tempt fate with worn out equipment too many times. 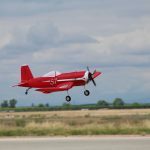 When it comes to fixed wing they just haven’t gotten a grip on substituting electric power for fuel out there, as is the case for many clubs. The form fitting batteries it came with were shot, so I built up some packs out of “get these out of here” low C discharge (5,000) mAh cells I’d been given and cut up the belly to make them fit. Run at (17) amps on 3S 3200 mAh (that original capacity is down a bit as they age a few percent a year) and use of the amps stick flights are in the half an hour range, even with the beat up wing. They also made for worthwhile performance in a Fun Cub and Twin Star II. But at (400) grams those battery packs are too heavy for a Gemini. In case you were wondering; My airplanes are infamous for looking like expletive deleted and flying very well. 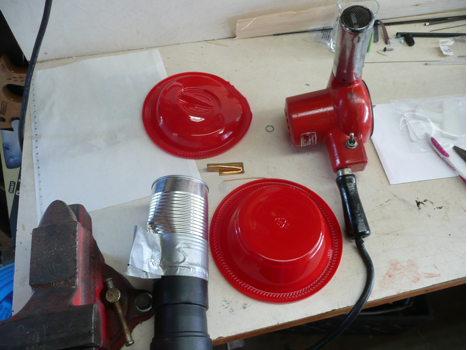 I’d have overhauled my SoCal Apprentice (they are also very popular in Rhein-Main) except the last day before returning from Rhein-Main I found a complete, unbuilt, Multiplex Mentor kit (same motor mount as the Gemini and Fun Cub) for use testing motors. So, I left most of my prospective medium power stuff back in Germany. And I needed a modern production motor controller suitable for outrunners in that the timing can be set. Half of my pile of average (150) gram motors are geared inliners, the other half outrunners. 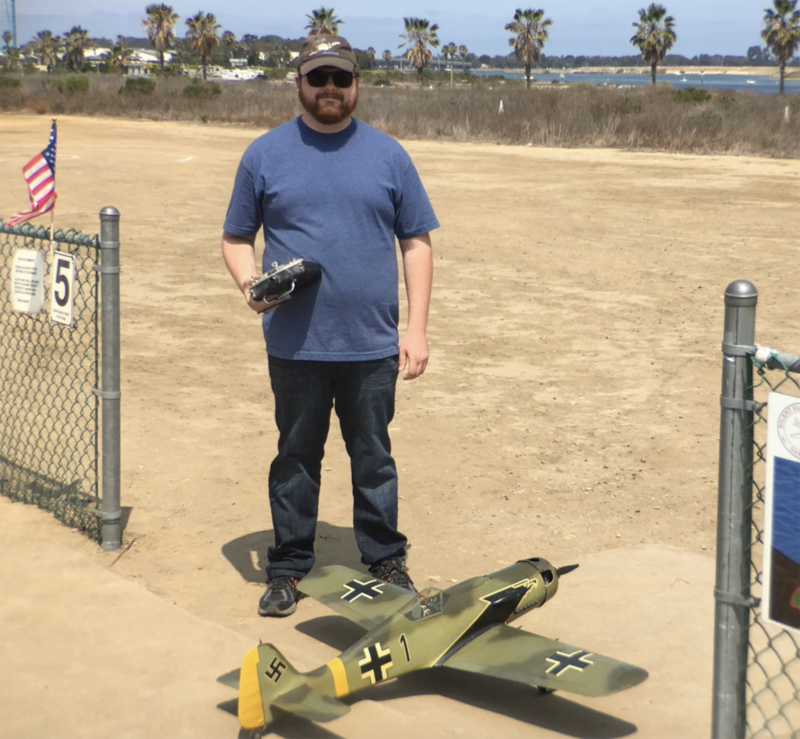 In case you were wondering, in year 2017 with Multiplex stuff disappearing from the USA Market, The Apprentice is the best available trainer for roomy airfields such as the Silent Electric Flyers of San Diego at Mission Bay, San Diego CA. A friend had two of them, the second built, but unused. His first was in the learning to fly and try everything phase. He reported the Merlin as too fast and too small for him. The Multiplex Merlin, no longer in production, was an in-between, smaller and with ailerons more agile than the rudder and elevator Twin Star I with it’s “can” motor barely enough for flight, the Merlin as introduced was at the leading edge of the brushless motor plus LiPo batteries, it later lost out when the Easy Star II with its brushless motor (and a lot less howl changing from six inch to eight inch pusher propeller) and ailerons became available. The Merlin is small for outside, it is fidgety in flight, neither fast nor really acrobatic and easily damaged. As received (flown as the 3S tuning version) the elevator throw was just right (factory preset) the rudder fine, but the ailerons a little too quick. Flights were in the ten to twenty-five minute range. Which might seem reasonable, but they somehow the Merlin didn’t connect with me. I’m not as pleased with mine as the people who wrote them up back when they first came out around 2008. After twenty five flights I put the Merlin on the shelf. Un-reinforced it needed a golf course to land on. Mine had some light fiberglass “hardening”. Hidden Valley with a wind out of the east, the grass still long, was ideal for that airframe, and yet other modern airframes did everything better, the small size was a disadvantage. I haven’t been carrying as much back and forth between Rhein-Main (West Germany) and SoCal as previous years. Still, with me, was a new, great little (35) mm Hacker outrunner in the (80) gram size which swings a 9X6 folding propeller on 3S Lipos. Two of them would make a “killer” Radial Motored Twin Star II (and great for a light winds Fun Cub) but I’m bored with the Twin Star II (and bored with the Fun Cub) plus they take up too much space in my camper. For the Gemini we liked the (105) gram motor size, run at well under maximum input, best for Geminis although I flew ours with motors from (40) grams through (135) grams on 3S and 4S. Somewhere out around (400) watts-in and you are forcing a low to medium speed (by the standards of outside) faster than is fun at the cost of weight taking the fine handling away. Gemini’s (set up right) fly fine in still air, yet they will buck some wind, up to two or three times walking speed (as much as San Diego’s Mission Bay ever gets) too. My personal Modified Gemini(s) stay up for twenty minutes or more per flight. The expected life of a Multiplex Gemini, if I build it new from the kit and reinforced it before it takes a beating, is one hundred to two hundred flights by which time the flight loads will have fatigued the wing foam to replacement. Flown gentle way longer. Cost new (no longer in production) fully fitted out, four hundred to six hundred dollars plus batteries and the usual RC stuff. My total budget for the next airplane was in the hundred dollar new outlay (use what I had as much as possible) range. And, if possible, fit it with an economical motor and sell it afterwards. In case you were wondering; I’ve had over twenty propulsion combinations in various Multiplex Geminis. Probably the best is propellers (all four I assembled were fitted with either Aero-Naut or Graupner folding propellers) in the nine to ten inch range, 3S 2200 mAh LiPos and motors in the (35) mm diameter size weighing between (80) and (105) grams. I tried (40) to (60) gram motors in the (28) to (30) mm diameter, brands Hacker and Scorpion, on small 4S LiPos with fixed propellers. The currently available common little outrunners are rated at 2S and 3S, all 4S did was wear them out too quick. Bigger motors put out more power than the (250) watts-out that seems to be optimum, left too little room for the battery and usually were nose heavy. The original (80) gram motor is average efficiency, also with its equal diameter to length a little short on torque. The Hacker puts out more watts-out for the same watts-in and with it’s larger diameter swings a bigger prop better. The drive over to the Lakeside for the swap meet on an oddly gray morning, 18 March 2017 (Sa.) was an easy twenty-five miles over mostly freeway. When I first arrived in San Diego County this section was kind of like being in the country, not any more. On arrival it turned magnificently sunny. The field is located in a valley between steep rocky hills, currently green like not in decades and even wild flowers! Not a lot for sale, and not many buyers either, but a very nice place in a steep valley to fly RC. I decided on a (likely ten to twelve year) old Multiplex Gemini fitted out with a, current to then, sport electric motor and good servos. The main landing gear had been rereinforced, it was painted a simple yellow above and black below with sprayed on paint, nominal scrapes and dings. That included a short range Spektrum receiver of the period, a motor and speed control. Per the owner bind it to your Spektrum receiver, put a battery in it and go fly. After which I hung out for a while, took a bike ride (first time in that area since year 2006) and watched just a few people fly on a great flying morning. Actually, if they weren’t so fragile (by today’s standards) that 90s era Ugly Stick refurbished by an 70s era pilot (his likey birth date too) did well. Until on a typically hot landing (required by the high wing loading, semisimetrical wing and no wind) the nose wheel snapped off. That is a great asphalt runway they have, and our Silent Electric Fliers of San Diego Mission Bay hard packed sand is good too. But I needed something for everywhere. In general minimal wear and tear. The front landing gear mount is gone (a chronic weak part, just not big enough to get a grip on the foam) replaced with a plywood and a decently brace to the always too weak main landing gear. Kind of small wheels though. Just glueing on a plywood mount for the landing gear, the same size as what tore out, isn’t a sufficient solution. That rear wheel was never strong enough either. Fuselage servos are HiTek HS-65s, more expensive, stronger and most important, better responding than the same size case of HiTek HS-55s. I can’t see the identification plate for the wing servos. However, one of them the servo arm with the ailerons centered is at right angles to the wing, the other back about (25)% degrees! Both wings needed more aileron up then down (positive differential) one was about equal each way, the other negative differential! It never flew as well as it could. That motor was likely sold by the now gone for a decade Sureflite hobby store on Convoy, they were ok motors for back then. It has an older Castle Creations Phoenix motor controller rated at (45) amps on 3S LiPos with the BEC and 4S LiPos without it. Deans type connectors. That sounds fine, except to my knowledge there was no way to advance the timing from the (5) degrees for inline motors to the (20) degrees a typical outrunner needs. The outrunner still turns, but used power inefficiently. As in shorter flights at less thrust then they could if the motor controller just fed the pulses correct for their type. The rear wheel assembly is intact, but the thin wire loose in the mount. I doubt it was ever glued in place. The whole airplane had been spray painted a high intensity yellow, then the bottom of the wing was spray painted black over the yellow, including some yellow overspray on the APC 8X6 propeller. I used to slope soar, I learned the hard way don’t make the underside of an RC airplane the same blue as the sky. From experience somehow the Gemini is hard to see at a distance. Some scrapes on the lower wing tips, a leading edge ding and some abrasion, otherwise it appears to be straight. The motor mount has had the four adjustment screws removed, it is held flat to the motor mounts. That made for too much up thrust. A weak point of the original, the four adjustment screws gouged into the side rail mounting plates until there was no adjustment although there is no indication the screws were ever used on this airframe. It has the original white plastic motor mount, which are prone to warping, modern production is aluminum. I had carbon fiber motor plates of this type, but they (along with a motor plus propeller plus motor controller) went missing after a flying session in the vineyards of Rhein-Main. I can’t clearly remember, but that would explain the case of local wine and the empty bottles on the floor of my camper one morning. Three of my geared motors, now a decade old (two from Multiplex, another an old stock NeuMotor) the transmission used four bolts, my one modern production NeuMotor’s gear box uses three mounting bolts. For which there is no “standard” Multiplex motor mounting plate. With four they bolt straight to the white plastic motor mount as do smaller motors. But, they always warp. Sanding and fiberglass take a couple of hours to correct that. A couple of hours as that plastic is surprisingly tough, and after thinning it out it needs some additional reinforcement. Still better, if you have several airframes that take the same mount, then whittling one out of plywood, which still needs fiberglass to hold up in service. You can’t get carbon fiber ones anymore. The nose has been cut flat with the motor mount. As good a way as any to easily repair the damage from a nose over. As so often, be it a new kit or a used airplane, it was taken apart (the wing came off easily, just unscrew the two screws) and then sanded. About an hour and a half, which used up one of three sanding blocks. Just going over things deciding what did I have and how much was left. The Gemini kit comes with sharply pointed wing leading edges. Too sharp for the intended speeds. The reason is to get them out of the moulds with a minimal casting flange. That is a chronic problem, casting flanges at the wing leading edge, with foam ARFs! And I can’t convince the owners to take five minutes with a block of sandpaper to make them right. These wings had taken nominal use, the leading edges were a little worn (plus a dent and a tear) so, I sanded until they were an even, if blunter, round. The dent was patched with lightweight spachtel and a layer of thinnest fiberglass. A critical issue as if the wings were not really usable, with no replacements available, I could just strip the hard parts and junk the airframe. 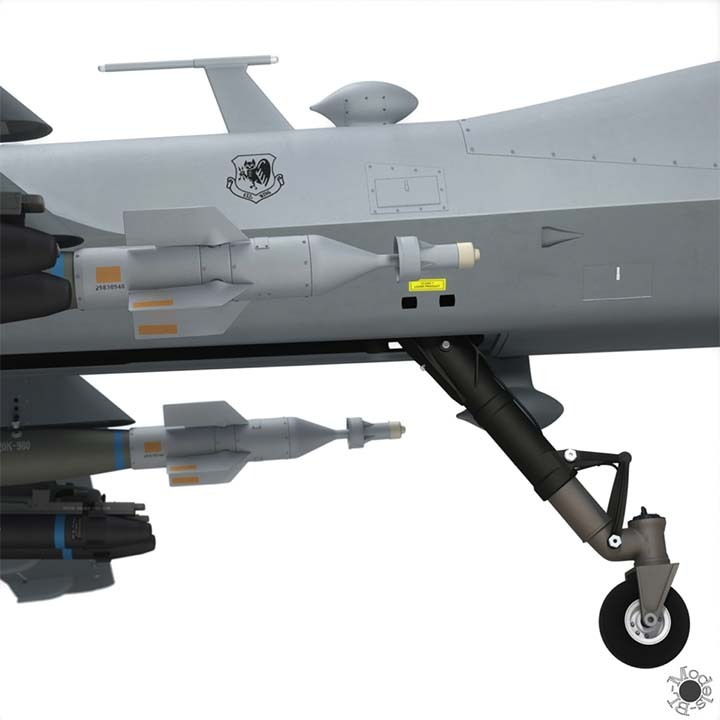 The aileron control horns are from then production, the attachments to the “barrel” connectors are loose in the holes! Well, it no doubt flew, but with that slop, it flew uneven. The motor was run up with a 3S 5200 mAh LiPo, old stock that hung around too long. That battery is good for hour and a half long flights (you read that right, (1.5) hours) in a Twin Star II with cheap motors. So, the voltage under load seems a little low. 10.4 Volts under full load It that seems kind of low, that’s what happens when a LiPo sits on the shelf too long. 22 Amps In case you were wondering that is the same load as two smaller motors when used in a Twin Star II. 230 watts-in A guess at watts-out, two thirds of that or about (150) watts to the propeller. At that weight of motor it would have only flow on, and landed fast. The previous pilots likely wound up flying way nose heavy too. 156 Watts-in WtExpletive Deleted That friends and readers is why you use a power meter and check things. Something was wrong, might be the motor controller or it’s settings. Then a latest series (new) Castle Creations (25) amp Talon motor controller with no changes to timing or brake. Later the brake was set, there are no timing adjustments other than the frequency. John also thought that replacing the old 6 volt brushed motors with E-Flight “6-Series” inrunners ( 2000 Kv) would fit in the existing motor pods without modifications. So, those were put on order. I took the model home and started dry fitting it together. 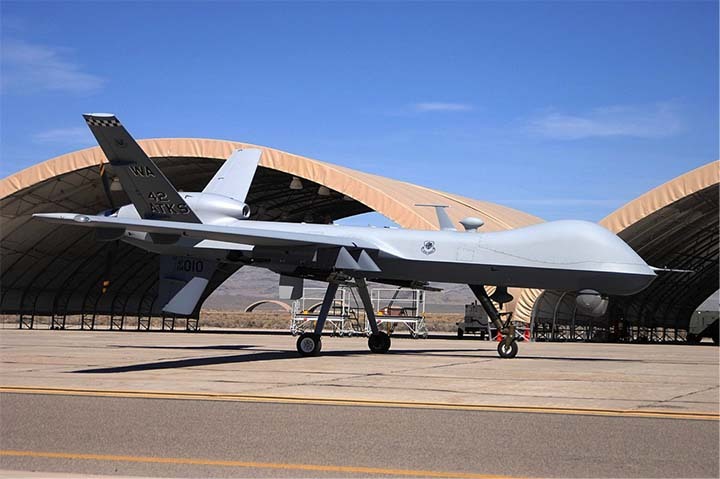 It was originally intended as a hand launch aircraft, no landing gear. The thought of this unique airplane belly flopping on our dirt runway didn’t do much for me, so E-Flight retracts were also ordered. I decided to have the mains rotate 90 degrees when stowed, as the wing is not very thick. There was also a concern about how far aft of the C.G. I could place the mains, as this is a pusher propeller system. On lift off rotation, these props are going to come close to the ground. The maximum size propeller recommended for these motors is a 6 x 5.5. That gives me three inches of clearance. I elected to make the main gear struts 4 inches in length and install them 1 ½ inches aft of the C.G. This still places the counter rotating props 18 inches behind the main landing gear. Roll out is a bit long and I still have to keep the rotation shallow to avoid a prop strike. Now because there are two servos for the ailerons, I have configured flaperons to get airborne with the hope of minimal rotation. The original wing spars were about seven inches in total length and while I still installed them, I also installed a 1/8th carbon fiber slat from the wing root to just shy of the wing tip. This reduced some nasty flexing noted after the wings were glued on. Also a concern, now that I was adding landing gear, was the flex of such a long fuselage. A single carbon fiber slat was epoxied along the battery compartment spanning the tricycle landing gear. I chose only one slat as I didn’t want to develop blind spots for the receiver. This seems to have done the trick rigidity wise, as my first few landings were less then optimal, shall we say? The construction of the battery hatch involved gluing four slabs of 1 x 4 x 29-inch styrene together. It took some time, but a hot knife, sanding block and light weight spackle have produced an ok looking hatch (If you don’t look to closely). 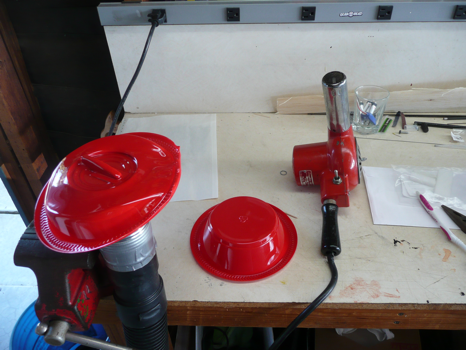 A vacuum cleaner to pick all the dang styrene dust was helpful too. That crap sticks to you via a static charge. The finished airplane has wing span of 50 inches and a length of 50 inches. The two E-Flight inrunners fit into the pods just fine, leaving room for the 40-amp ESC’s to fit in as well. It’s a snug fit, but a Dremel tool carved some room and ventilation slots for the ESC’s and motors. I found small air scoops at “Park Flyer Plastics “, (Miscellaneous Section) to supply inflight cooling air. The motors are configured to counter rotate and spin 6 x 4 props. These motors are only rated for a 3-cell battery, so with a fresh 3S 3700 I’m seeing 45 amps total current and 540 watts total power. All up weight is 3 lbs. 12 oz. so that’s around 144 watts / lb. I know what you’re thinking, I have had the same thought. What would it be like with a four-cell battery? Well, faster and heavier. It currently flies scale and is quick enough. This aircraft is loosely modeled after a picture I saw of a SST concept air liner study done by NASA and Boeing Aircraft. I did the blue paint and Callie Graphics supplied the decals. So how does it fly anyway? Well, different but in a pleasing way. Remember that part where I talked about configuring flaperons? When I first engaged the flaps, I did it at altitude where I could see what would happen. The elevator on this airplane is up front, on the canard. The main wing and flaps are in the back, behind the C.G. So, flaps deploy down, wing lifts and the nose goes down, hard down. I had to add about ¾ of back stick just to fly level (different). I really should have seen this one coming. The fix was to add elevator mixing with the flap switch, duh. With the elevator in front of the C.G., it’s just the opposite of a standard tailed aircraft. To go up, the elevator deflects down. To go down, the elevator deflects up. Now when I deploy the flaps the elevator also deploys downward, creating lift both fore and aft. And that take off rotation I mentioned is now greatly reduced. Only a slight amount of back stick is needed to initiate lift off. The aircraft will rise almost horizontally from the runway, keeping the props clear of the ground. For landing, the Sonic Liner needs to be flown to the ground. On final approach with full flaps, power is held at 50%. There is a slight, flat sink rate, so once I’m clear of the soft rocky patch on the east end of the runway, I’ll reduce power by 1 or 2 clicks on the throttle. The sink rate will increase so I must be ready to add those clicks of power back. It will take a second or two for the sink rate to change because this is a pusher configuration. I land it like a jet, adjust altitude on final with power not the elevator (pleasing). In flight, the Sonic Liner likes to move along and seems to have a more solid feel at full power. As you can see, the wing chord gets short moving away from the fuselage. That may explain the soft feel at half or three quarters power. This is an interesting airplane to fly and it looks pretty striking in the air. For me, making all the adaptions for motors, strength and flight control have been the fun part. 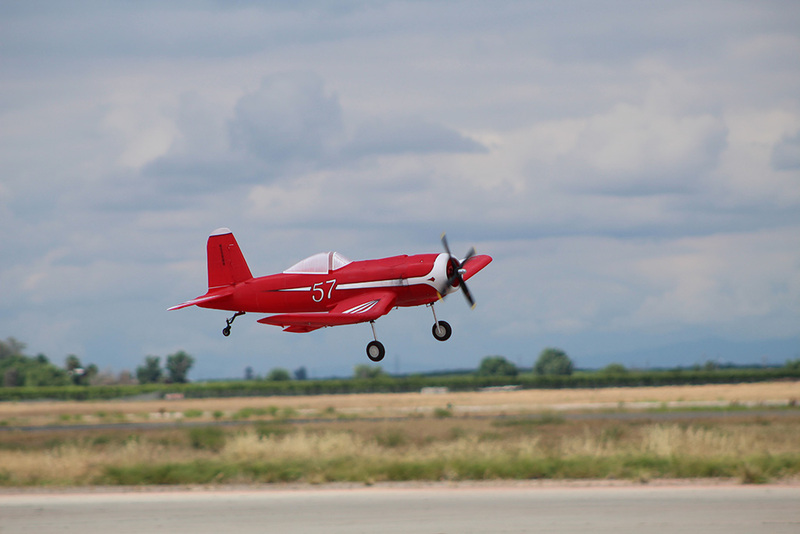 Learning how to take off and land a canard aircraft was a challenge, but this is how we learn in our hobby. Learn something and push yourselves a bit, it can be a pretty cool result. Along the way I was declared a “Bad Example” by the Harbor Soaring Society. Along with every other place I’ve ever flown, you either have to be a fool to fly like that, or really good. The latest “regrettable incident” was year 2015 in Hidden Valley (on the Santa Ana River wash) where I flew a Reinforced Fun Cub in twenty to thirty mile an hour wind. During my over half an hour of mostly slope soaring two others launched their RC airplanes (they still fly fuel burners there) to be reduced to wreckage on landing after five minute flights. It’s not that I’m dangerous or rude, far from it. But the; If he’s flying I can too has resulted in reckless behavior by others before they determined my airplanes are improved and I have excellent flying skills. My personal record was four (you read that right, (4)) standard (30) watts-out Easy Star (I)s ruined while I was flying a (300) watts-out Easy Star (I) (bigger rudder too) right there at the SEFSD flying field in Mission Bay back, with gusting on shore wind, in the 2000s. Well, I was at the down wind end of the runway, my first notice was as their airplanes cartwheeled past me. Back then the HSS offered that either I find a different club or agree to limit myself to not more than a lifetime total of (25) pusher propeller RC airplanes along with cease and desist instructing others in their operation or assembly. Recent years when I find myself at Estancia in Costa Mesa nobody remembers me, with the flying area moved back from the cliff you are just in a field and Costa Mesa now requires a license from them to fly there, so I don’t. I’m ok making this public. 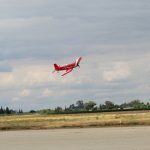 That having the propeller in back and being some kind of modern impact absorbing foam (it looks like the wing was extruded, the tail surfaces cut from sheets) though makes for landing anywhere an RC airplane can be flown in Southern California (SC). Rhein-Main has plants to soften impacts without landing gear, folding propellers in front are enough for there. That whine of a pusher propeller gets irritating after a while. This will be my first pusher propeller RC airplane in five years or six years. Why, they can be landed most anywhere. I also have a left lieing around completed, decade old, Hobby People flying wing almost ready for it’s first flight. For all the changes over the years including relocating to San Diego and then back and forth to Rhein-Main (where I once again have a fine woman to go home to, I’m even a husband now) I continued to shop at Hobby People. But they hadn’t been doing well since the Recession (turned to a Depression our government refused to admit to) since back about 2006 and neither had I. The worst of it was all the companies had to down the quality and Hobby People was always the leader in what was latest. I’m neither happy nor satisfied with the current ARF twenty flights and replace phase. Few of them are worth the effort to improve them other then replacing the often junk parts they come with even if the airframes fly ok. I’d rather pay more up front. The first of four RC hobby shops on Convoy Street in San Diego to pack it in was Sureflite, then Diamond. When the San Diego Convoy Street Hobby People store closed year 2016, I figured that the El Cajon one was all they needed in the area. Too much Internet buying, too many customers like me too broke to buy. But when I stopped by the Corporate Headquarters in Fountain Valley on my latest back to SoCal trip in February year 2016, they as a company were selling off, after forty-five years closing forever. What was left wasn’t all that interesting. Just the same, the second week of February year 2017, I went back in and bought some small stuff and a little RC airplane, ailerons and elevator, high wing pusher propeller, I’d seen. They had been laying around the store for a couple of years. The original price was $80-, which with tax would have been $86.00- net. As I stood in the check out line I thought I was paying $40- plus sales taxes. Later on examining the receipt I paid $21.50- net for my DT-760. Just the disappointment of a supplier you’d been buying from for twenty five years disappearing, and the concentration of focusing on every item knowing that either hold it in your hand and buy it, or forget it, it wasn’t until I opened the package I realized what I’d bought. When I left at 4 pm that Sunday they reportedly had decided to stay open one week more before ending (45) years as a company. I’d have bought two at that price. It was a whole little airplane, mostly foam with just a little reinforcement, complete except for receiver and battery, in a box 2/3s the size of the Wanderer’s. And nothing much to build except find a way to mount the receiver and a battery. As marked on the box it was manufactured in China, as directed by a German company. The instruction manual leaves out a lot of details, despite the many pictures. It does show a void in the nose where the receiver and battery could go. As it turns out the canopy is held by a magnet. This airplane is mostly push the horizontal stabilizer in use a single screw to secure the wing (screw and tiny allen wrench included) however, neglected are the information for Center of Gravity (CG) and power draw. The propeller is listed as a 6X3, which given the small size of the electric motor (looks like about fifteen grams, typical you can’t feel the magnets of this low price range) will turn slowly. For reference, I often use Hacker Brand electric motors, one this size (about fifteen grams) from Hacker costs $60- retail. Mostly some kind of foam, the wing is flat, except for some slight bow of the right and left wings (already continuous) with no washout. That may make for difficult stalls and it may require more attention to level flight. A single servo embedded in the wing with a thin cable serves both ailerons, the hinges of which are already free enough. I haven’t had that one servo to actuate two ailerons with a cable since the Author marketed his Mad Dog kit two decades ago in a time when servos were more expensive and 8 gram servos almost unknown. Among the small parts I purchased my last time ever from Hobby People (without which you don’t have an RC airplane) were a package of four Brand APC 6X4 propellers and a 5.25X4.75. Along with some Brand “X” servos. And I have a Hobby People simple four channel radio that is reportedly compatible with Airtronics systems. Required to finish the DT-760 were a battery and receiver in addition to a transmitter and the usual RC stuff. In addition, although not strictly necessary I purchased additional male and female leads as I wanted to measure power draw. My NeuMotors charger already included a suitable charge lead. Included in the box were basic instructions on how to assemble the DT-760 from parts. Unnecessary as it comes assembled. After looking over the parts, I later discovered the “barrel” connection from the already installed elevator control line to the elevator was laying on the floor. The connection screw was missing. I used a spare. It should be glued in place, for now I just pushed the horizontal stabilizer in. The Electronic Speed Control was used to run up the elevator and get it centered. The ailerons were trial checked. One aileron the allen screw wasn’t tight enough, both were centered as much as the curvature of the warped wing will allow. At least the warp is symmetrical. Bad, a crash already prepared, the servo control horn isn’t strong enough, it bends way too much. The allen screws are difficult to tightened as the supplied allen hardly fits. Another bad, the aileron horns aren’t strong enough. Something right, the differential at the ailerons is about twice as much up as down, both sides were the same. That often isn’t the case! Travel wasn’t much. 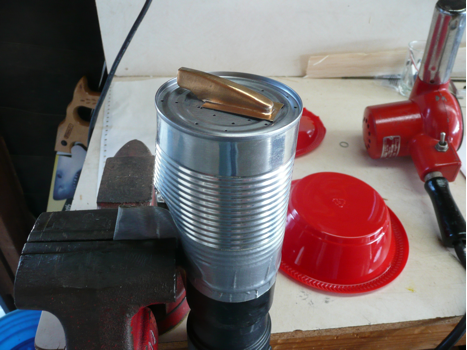 The simple, but decently made, propeller was mounted and the motor was run up, it seemed ok. Plenty of static thrust. Final assembly went without issue, about half an hour of fitting things together. Until it was run up as a complete airplane on the bench. At first I thought the connectors were defective, the one to the battery from the power meter melted, it almost burned up a new LiPo battery. So, another battery with different connectors were tried. Motor performance was erratic, in short order the motor controller failed. The motor controller burned up! As luck would have it I had an old (18) amp speed controller with the correct (1)mm connectors. The motor was run up again, current draw went to (14) amps. At first I blamed the supplied propeller, not the burned up speed controller. But usually a motor controller can be slightly over amped for a few seconds, this one quit at a count of five to ten on what should have been a matched system. There was no identification of any kind on the motor controller, the expected amp draw was from the label on the box it came in. This was a complete system, the LiPo I used the voltage drop was way too much and even at that it quickly burned up. P.O.Expletive Deleted. The output connector of the (new) battery was damaged (which took a while to find, unlike the there side which had come apart) so, I spent most of two hours resoldering connections to get everything to work together. In retrospect I was going to need those connections for the power meter for another project. After getting it connectable again the LiPo may be damaged as in just half a minute half it’s charge was gone. Still, it wasn’t more than a little warm and evenly so. Instillation of an APC 5.25X4.75 was the wrong direction. No, not the propeller on backwards (seen way too often) the amp draw flashed to (15) amps. I would expect a smaller Hacker Brand motor to put out as much power at a lower current draw. But then just that motor costs almost as much as this whole RC airplane system. The difference between (80)% efficiency and (65)% efficiency isn’t (15)%, it is (23)%. In practice the difference is double the flight duration. I’d have mounted a folding propeller assembly, but had none with me that would function. After flying the DT-760 I don’t think it would change things much. 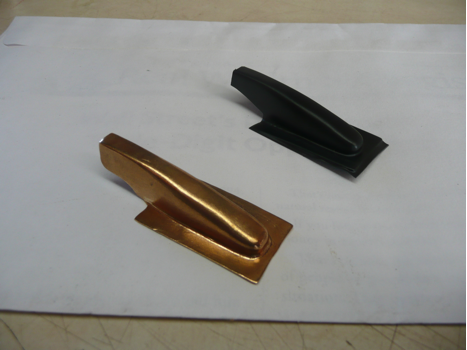 With no other information, this simple straight wing likely should balance on the single wing mounting screw. Actual balance in the only position the battery will fit is a little forward of that. I often fly a first flight with the balance a little forward, time to see what this little investment can do. $3- replacement propeller For most people that would be more as I did not include the cost of propellers I tried that didn’t function correctly. But then that kind of information is exactly why I organize my notes into this form, and why anybody might benefit from reading this. $?/15- Old stock Castle Creations (18) amp electronic speed controller changed to a smaller battery connecter Slightly larger, it can only be just pushed into the “tunnel” into the airframe. $24- A single new battery in size 2S800 mAh (as specified by the manufacturer) brand E-Flite and one each male and female connectors already on leads. On a perfect spring afternoon, the wind blowing as into the slope as ever, knowingly nose heavy, my new little airplane was pushed into the wind. That forty feet of fall leaves room for some response before the airplane hits the ground. As expected elevator trim up was required to offset the too far forward CG. Flight is ok at one third amps. As expected it had neutral stability along the roll axis, the pitch and yaw are both fine. Neutral response to power on and off. With it nose heavy the power had to stay on most of the time. Not that I wrung it out, a first impression is that the control throws are about right as it came. This is, as designed with that flat bottom airfoil, just a flyer, no more acrobatics then the minimum. Fun to fly, no. I didn’t add any recognition paint, so not if but when, it falls off over one wing or the other several times a minute, you had better already know which one. Out beyond a hundred yards its too small for my six decade old eyes to make constant roll corrections. 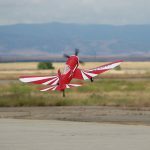 I fly RC airplanes, well, further out then the AMA recommends or almost anybody else, but they have to be stable, guide them through airplanes. I checked on the map, I fly my six times as big Twin Star II on the Point Loma bluffs in San Diego up to half a mile away. That would be an intended place to fly on windy days with a DT-760 as the excess weight then becomes an advantage. Except in less time and cost then it would take to get a DT-760 “right” you could assemble a flying wing that way outperforms it… I fly the very stable Easy Star IIs at similar distances. This was unusual, I always add recognition paint before first flights even, but it was almost sun down… Although I had it do a loop, no rolls or anything else was tried. With it nose heavy and some parts of limited duration (break that aileron control horn and it’s over) I made little use of full amps. Stalls were no problem, just that with this zero roll stability, what ever direction it is going at the time of the stall continues. That kills airplanes with beginners as the combination of stall, pointed down and reaction to getting back to flying speed meets the ground first. The issue is that roll and general lack of stability. 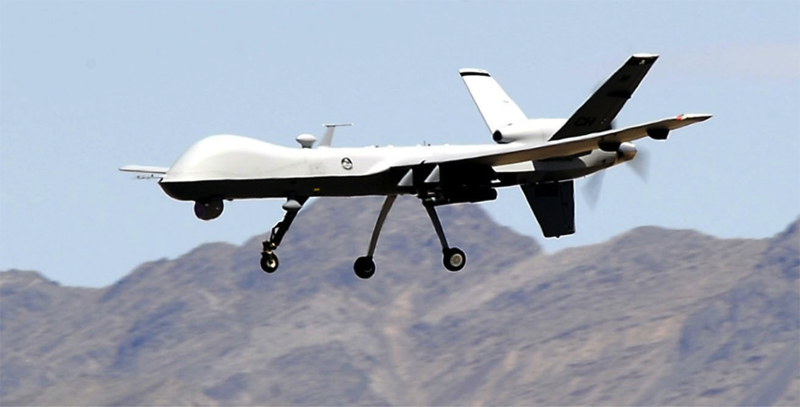 The whole airframe is heavy compared with most flying machines. 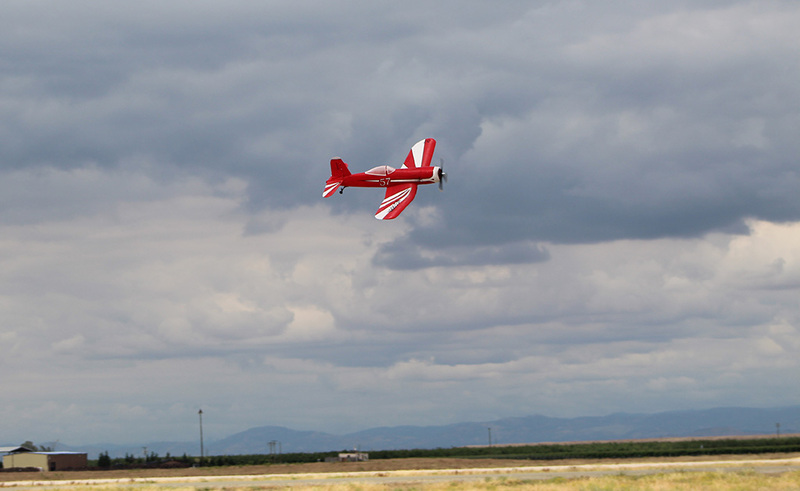 Even pointed straight down that flat Clark Y airfoil won’t allow much speed and strictly limits any aerobatics to the minimum. I avoided any high speeds as the elevator wasn’t glued in, yet. Knowing that the brand knew twenty dollar battery may already have been ruined when the (possibly overloaded by the supplied propeller) speed controller burned up, I landed (perfectly) long before any signs that the charge was down. I was not impressed. Kind of irritated actually. On recharging that rather short flight (about five minutes) the battery was ¾ down. The closest I have in inventory is a flying wing combination from Hacker. A little less wing span with a little less area, I use the same size battery with. Flights in similar conditions go on for at least twenty minutes. But then I am notorious for staying up two or three times as long as anybody else with similar combinations. 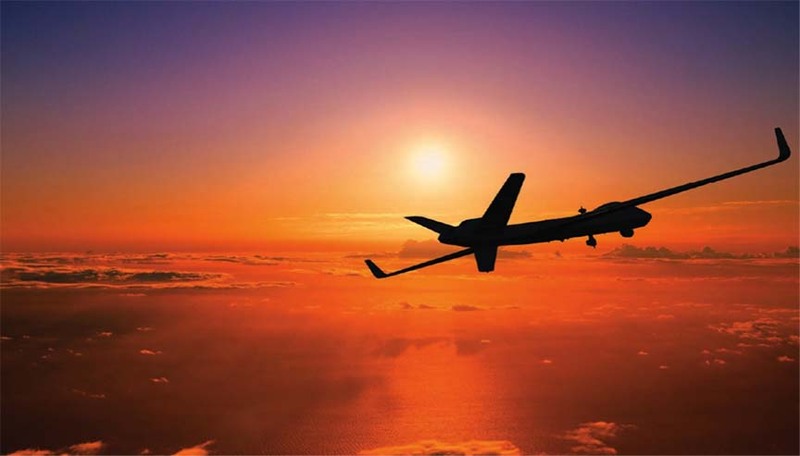 It is a blast to fly, except that after thousands and thousands of elavon flights I’m bored with the restrictions. Assembling the kit (takes about two hours as part of that is verifying your equipment) required gluing the wing halves together (the best cut EPP I ever laid hands on, the printed on contrast is perfect) selecting and mounting the servos (your choice at what to purchase) and attaching the motor and supplied speed control. That motor is half the size of the one in the DT-760- and you can feel the magnets cog past the windings. Net cost (they are still available) about half again more than the DT-760-. Time to assemble, if the DT-760 had gone together easy (not hours of finding and fixing melted connectors plus then finding a suitable propeller, missing screws etc. ), is about an hour. It is slightly fragile to transport (compared to a Wanderer that would be a joke, but the light tail of the DT-760 could easily be bent) and not convenient to separate the wing from the fuselage every time you want to fly. That is important when you carry it everywhere in your camper with you, for the rest of you likely irrelevant. The Hacker Flying Wing a far better flyer, the net cost per flight vastly better. Hacker didn’t get established in the USA, if they were available in SoCal I’d buy the next size up and quit looking for an RC airplane for my camper. I should have taken out AMA membership as preparation for re-joining the San Diego Electric Flyers instead. I wanted a smaller airplane for my camper I could use wherever I was, this isn’t it. Well, it was what I had, so I continued to fly the DT-760 as it came from the manufacturer with the replacement propeller and motor controller. Those little “barrel” connectors are a liability. I have excellent tactical feel, even I didn’t get the set screw for one aileron tight enough. The wire isn’t enough to get tension, you have to use a light pliers to hold the barrel as you tighten the set screw. Flown with the recommended size battery it is nose heavy, and so flights are shorter then they could be. About five minutes. 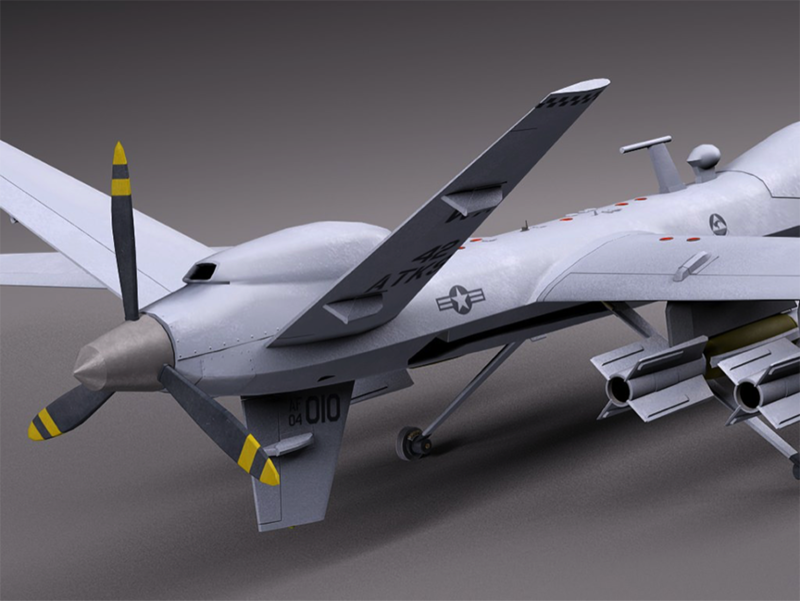 A smaller battery in the 2S 600 mAh size along with a smaller propeller to reduce current draw to what the limiting factor, the battery, would improve that. I took it as an omen when I went by NeuMotors in early March 2017 that they didn’t have any batteries in that size. Discount Hobby warehouse had the necessary battery and possible an APC 5X3 propeller, but this project wasn’t worth the additional twenty dollars to me. Although I have been openly critical of reports on just one flight that everything was wonderful and perfect, my (new) standard is fifty flights, this one won’t hold my interest for that long. I doubt any changes would make the DT-760 a satisfying RC flying machine. I made a dozen flights with it. 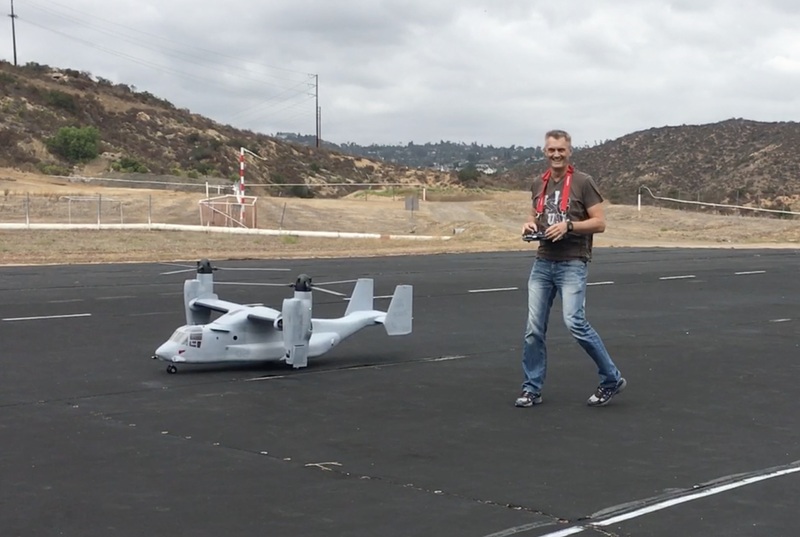 Well, it does fly, but has been a long time since I was so disappointed with an RC airplane. The main problem is the flat bottom airfoil (already warped on both sides) wing along with too much weight. It is never going to be stable to steer it around and never going to be agile. 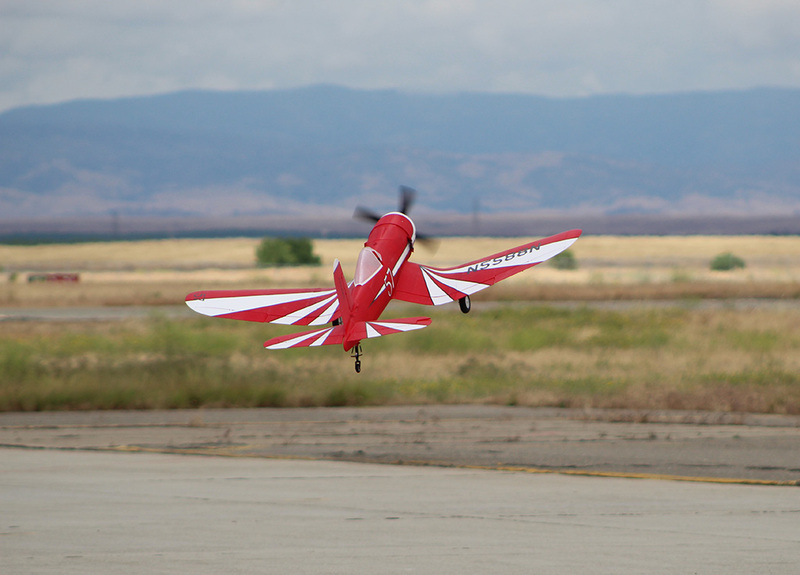 This is a slightly difficult to fly RC airplane that is neither relaxing nor exciting to fly. Too heavy to fly slow and not fast enough or agile enough to be interesting. Stalls aren’t an issue. My past experience with cheap servos has been bad. At least these ones center ok. Well, since I plan to not fly it much more… Maybe move the currently installed as the single aileron servo in the fuselage next to the elevator servo and add a rudder. And while I’m in there replace the unknown elevator servo with a decent one. Is it worth it to anybody to save thirty bucks on a pair of HiTek HS-55s that last for hundreds of flights verses hitting something when a cheap servo quits? I have thousands and thousands of flights with just aileron, elevator and motor, somehow I kept reaching for a rudder on the DT-760. Not that it didn’t go straight, it does, and using the rudder won’t do anything for the lack of stability in roll, make it worse actually. In the case of the Twin Star II and Mini Mag (ha, back in Rhein-Main I found an unbuilt Mentor) after initiating a roll with the ailerons I use the rudder to make it go straight. But the DT-760 just isn’t, by the standards of this LiPo battery and brushless motor era, just not a fun RC airplane at all. More motor wouldn’t help either as what it has, after fitting it with a correct propeller, a good match as it. Should somebody use this article as a basis for their own attempts the target is a static draw of ten amps on a 2S LiPo. Note that even using a decent quality LiPo that the voltage drop was way high. A better, higher “C” battery might draw too much power for my combination. That is why I fitted out my power meter for measurements. The bearings in such cheap motors often last about as long as the current expectation of twenty flights of an ARF. Better check the power draw regularly as when it goes up, as the bearings create drag, they burn out. Were I to continue with the DT-760 I’d fit it with a smaller propeller. There is so minimal satisfaction with the airframe though that it isn’t worth the six bucks to buy two alternatives to try out. 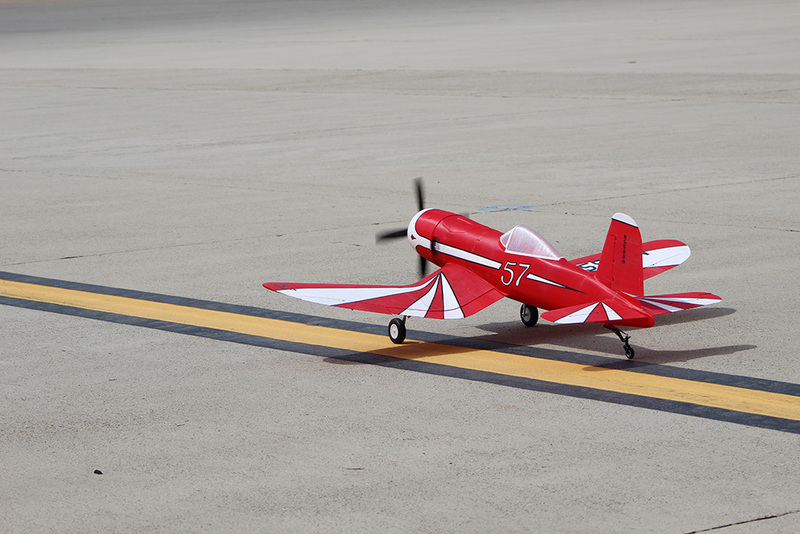 Years ago I built from plans out of a magazine (FMT about six years ago) a modified European Gump racing class RC airplane with a flat wing, by changing materials made to function much lighter with a small electric motor instead of the class racing fuel burner. The magazine one was built out of Depron and I added quite a bit of fiberglass. So mine weren’t racers, more of a general fun to fly RC airplane that could tolerate landing on Rhein-Main farm fields. Just the same with it’s one meter wing spar, the wing exactly flat, I made hundreds of enjoyable flights with them. I twice added rudder to the aileron, elevator and motor combination, which demonstrated that sometimes less is more, I took the rudders back out. I estimate they had 2/3s the wing loading of this junker, flights went four times as long. The DT-760 just doesn’t do it for me. I doubt anybody else would like it any better. One side piece (the forward fuselage is a “sandwich” of four flat parts) could be removed to make necessary clearance for the battery (to make balance it has to go under the elevator servo) and reinstalled. It would likely take me most of two hours as I’d add some fiberglass here and there while I was at it. As is the recommended battery will not fit under the elevator servo nor can balance be made with it all the way forward. Given the high voltage drop under load a smaller battery seems pointless although were the DT-760 interesting I’d try a 2S600 mAh Lipo. Power as used was sufficient, if any thing less would be fine. The vertical stabilizator was a little warped, I’d add a stiffener. A flat carbon fiber strip would likely suffice, at five minutes for the instillation. As long as I had it open to clearance for the battery I might add a rudder with the servo required too. That would take an hour or two. The material is so thin you can’t just laminate on fiberglass as when it shrinks it would warp. Glue on carbon fiber would be reasonable. 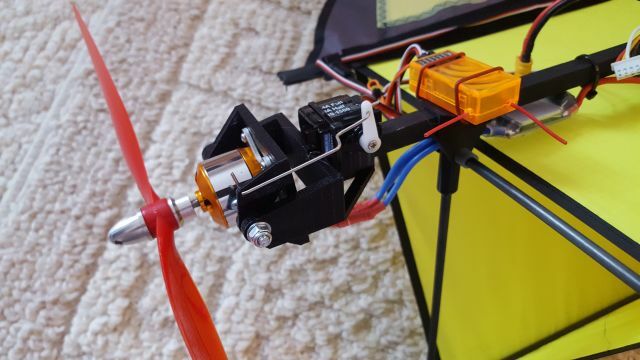 The single aileron servo could be replaced with two (8) gram servos (lighter down to four grams ok too), one in each wing, before the control arm breaks and a cable to connect them to a single channel. While I was at it replace the aileron horns or improve them with fiberglass overlay. Required for drilling them out to use Multiplex “barrel” connectors as the originals are marginal. Or use a more elaborate radio and put each of the two aileron servos on it’s own channel. That makes balancing the servo centers easy and allows tuning the differential between up and down. That would take about two to three hours and using the $2- Brand X servos and $1- Y connector, bought at the same Hobby People was closing, costing about five dollars. I made four hundred flights on a Mini Mag, about a hundred more than I recommend for the HiTek HS-55 used as the elevator servo. Two HiTek HS-55s and a Y connector at full price is more like thirty-five dollars for the aileron conversion when you add in the rods from the servo to the control horns (bought some at going out of business too) and improving the control horns. Fortunately, Multiplex “barrel” connectors that outlasted their airframes fit, I have a small quantity on hand. Recognition paint would take minutes and cost some minor percentage of the value of the can of spray paint. But I just don’t see any reasonable way to correct that flat wing and it is too heavy. Most airplanes (from peanut sized to 747s) use some washout. That way when a stall happens it is to the outside of the wing, the inside keeps flying. The lack of washout of the DT-760 didn’t seem to matter. Although some of the EPP (expanded poly propylene) foams can be heat shaped (steam, dangerous, or boiling water, still some burn risk) this one doesn’t seem a likely one to mess with. As would be expected for something intended for short races, neutral stability is fine for a standard Gump. But I often stay aloft for twenty minutes and more (with a 3S 5000 mAh LiPo flight duration of my current Twin Star II, cheap motors with already going batteries even, is over an hour) constant corrections to roll become irritating, so, I added angled up wing tips to a Gump. But that required either lengthening or increasing the size of the whole tail. For the DT-760 I’d have to model the wing tips from Depron and fiberglass and make a bigger tail. That is too much effort for the DT-760. You would be better off with a whole different wing. Or cut the existing at the inside of the ailerons and reattach angled up for some dihedral. Except that although that downward bow of each side of the wing, would turn into a mess trying to cut and reattach it. In theory, a slit could be made and a flat spar added in. Getting a different wing would be a better solution. I made hundreds of flights with various Mini Mags, only slightly more expensive they are far better fliers just as they come. With slight modifications I already know how to make them fly so well even Multiplex was surprised. Or, you can get a Multiplex Easy Star II. Both cost more initially, perform great right out of the box and have expected life spans of hundreds of flights. Still around (I could see them from the Point Loma Bluffs, slope soarers at the College on the ridge above) are flying wings (Zaggie, if it looks like a duck, and quacks like a duck) easily assembled, durable and a blast to fly that are a better use of time and money then attempting to fix the DT-760. I won’t fly with servos that cheap longer then just enough to try an RC airplane, may I recommend not reusing the DT-760 servos in anything else including the original airplane. I’ve had the servos in this price class quit in as little as two hours of flight. But then how many people, at five to maximum ten minutes a flight, are going to get a dozen flights on a DT-760? Where I test flew (not that a single flight is a sufficient test) the wind isn’t enough to slope soar. With it’s high wing loading about the only place I would use the DT-760, after making it reliable, is at Point Loma. I wanted a general purpose RC airplane, not a indifferent flyer for exactly one location and wind direction. Get a different airplane and start over. 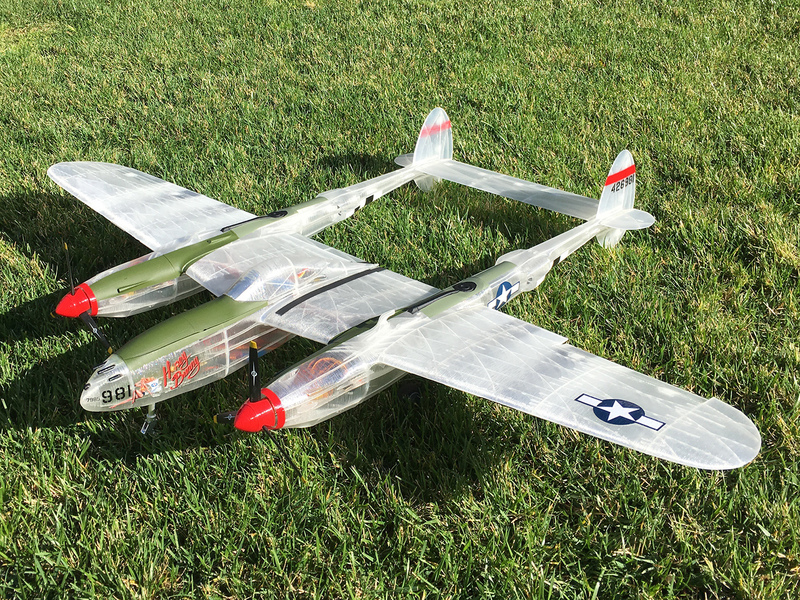 About a year ago I bought one of Mike Morgan’s 3D printed P-38 kits. I had seen several of the 3D printed kits he was producing and really wanted one. 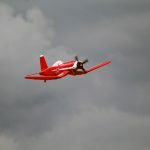 He offers several models to choose from including a Zivco Edge 540, MIG 15, Piper Pawnee, Corsair F2G, Spitfire, P-51, P-47 and the P-38 (https://morgantech.com/). I always wanted to build a P-38 so here was the perfect opportunity. P-38 with “Honey Bunny” markings. Graphics from Callie Graphics. 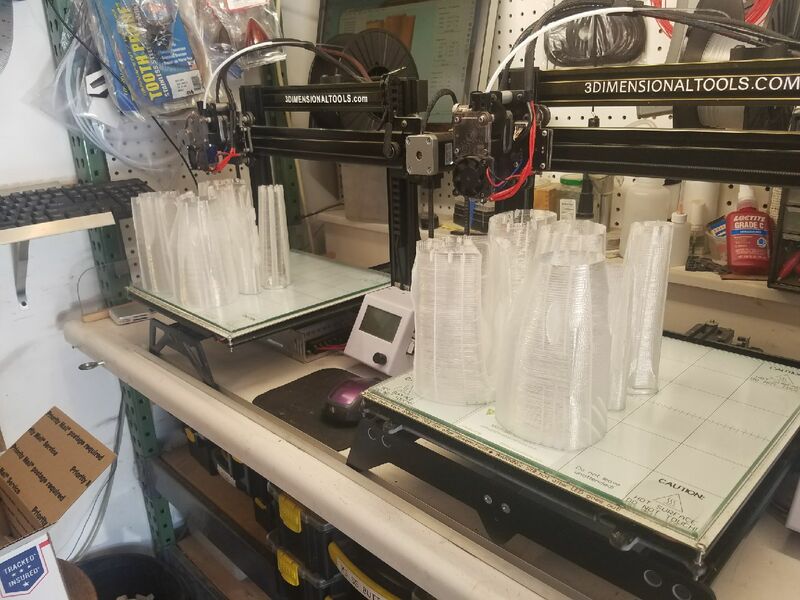 About Morgantech: Mike has up to 4 printers going at any one time in his garage/shop. Mike is a master of organization. He has to be. His entire shop fits into 1/2 of a 2-car garage! There are planes hanging from the ceiling, printers going, a full size laser cutter, CNC router, band saw, shelves, tables, storage, etc. There is more stuff in there than you would believe possible (think TARDIS). And all of it is clean, organized and easily accessible. My P-38 parts atop two of Mike’s 3D printers. Mike makes his own printers as well. See link above. Click the pic to see the video. I live in Minnesota but spend January in San Diego. 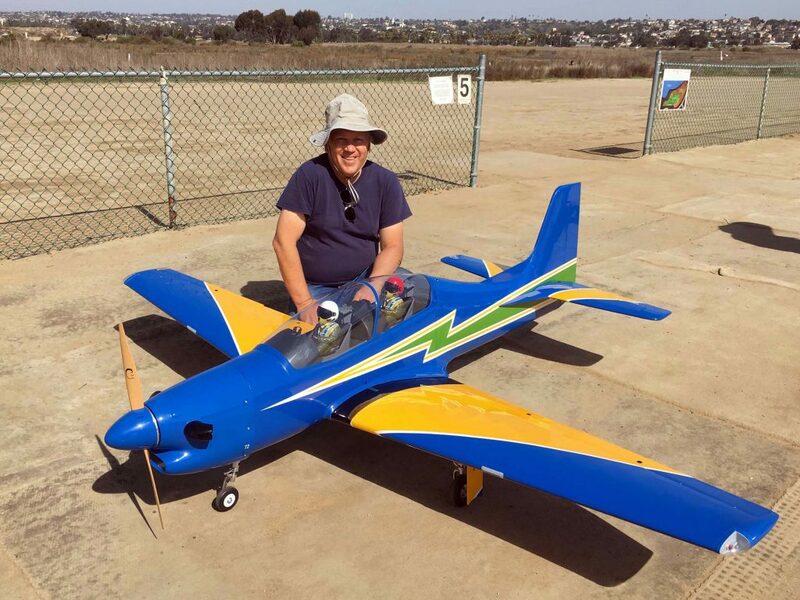 I enjoy flying with the Silent Electric Flyers of San Diego (SEFSD) at the Mission Bay field, but I needed a reasonably sized model airplane that would travel well on an airline. I modified a Prism Zero G Glider kite (purchased at the kite store in Seaport Village) for this mission. 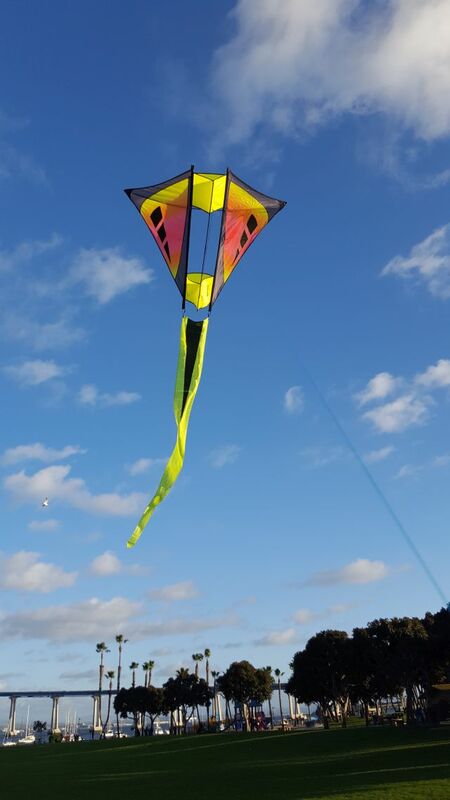 As a kite, it flies in the Canard configuration. As an airplane, I put the motor on the opposite end and use the canard surfaces as elevators. A light weight rudder was added for the airplane configuration. The conversion was very successful. 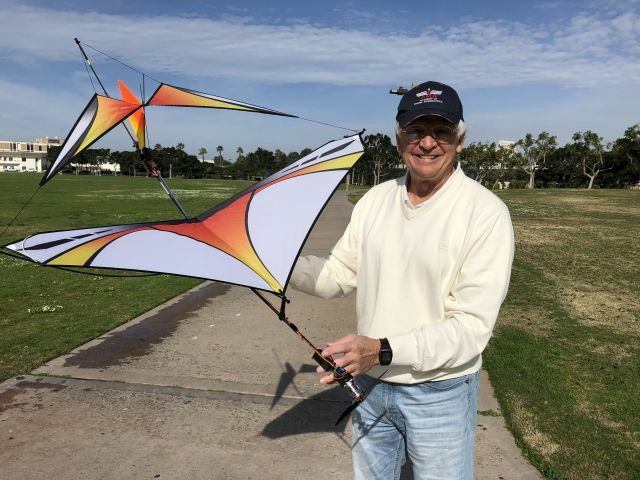 The video shows test flights at the Coronado Tidelands Park flying both as an airplane and a kite. In smooth air, it flies “hands off”. 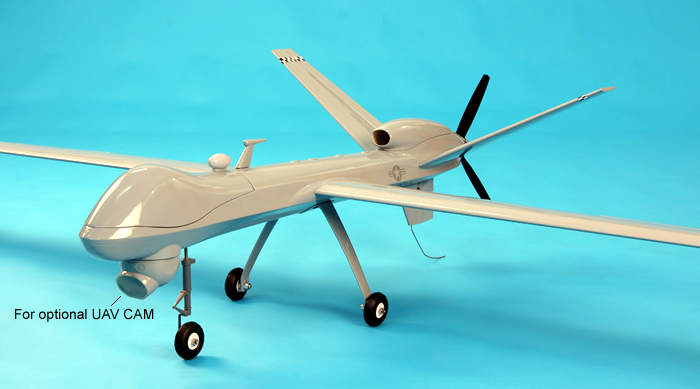 The Wingspan is 1067 mm (42″) and the “All Up Weight” is 225 grams (8 oz) including a 1.3 gram recording altimeter. Flight time is 15 minutes with a 3S 500 mah LiPo and a 9 x 4.7 prop. At the SEFSD field, I recorded a maximum altitude of 352 ft. 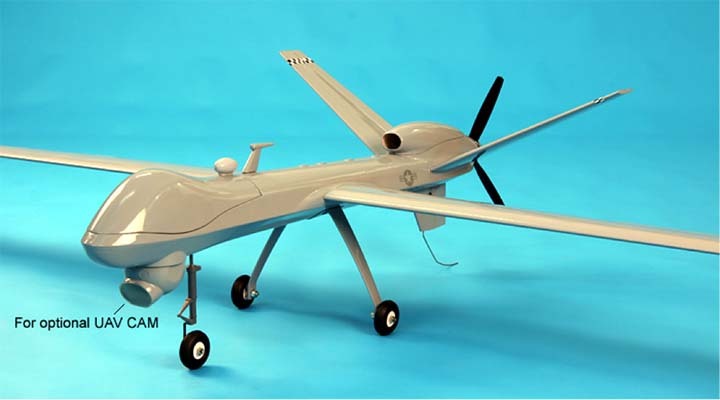 The only real concern with this model airplane is that you could easily lose it in a thermal. So morning, or evening, or cloudy days are best. It also flies well in a gymnasium. 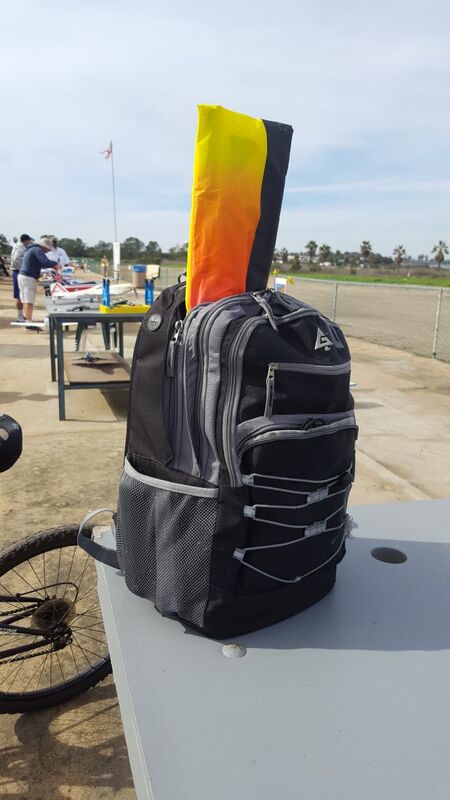 Since we stay in Coronado for the month of January, the Zero G RC Kite makes a great backpack airplane. I ride the Coronado Ferry to the Broadway Pier, then take the trolley to the Morena/Linda Vista stop. The bike takes me the rest of the way to the SEFSD field. Here’s the link to the Reno 2012 Races…..great article going over what the NTSB found out about the Galloping Ghost Race Crash……as well as other interesting info. I was looking to get a smaller warbird that I can just put in the car and go…..no assembly. 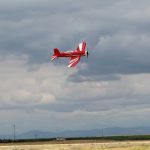 Trying to keep up with OB ( Brad and Chris ) on the weekends…..well I came across the FlightlineRC Hawker Sea Fury and for 2 bills ordered her up. Started looking up the plane online and the first thing I saw was this!! O.M.G. that is AWESOME!! Then Started watching some vids, and pretty much LOST MY MIND! SO, I started my warbird Project turning my Sea Fury ( pretty much the UGLIEST plane I ever bought ) into a Reno Racer……. 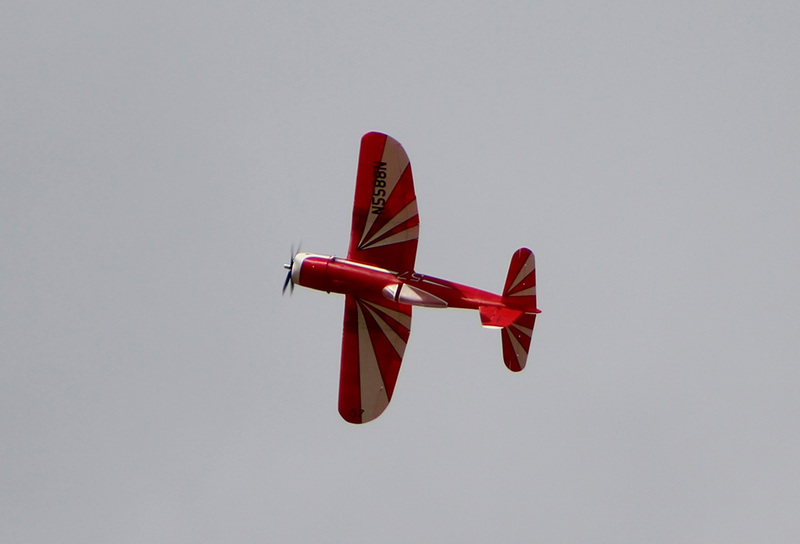 While looking up this bird, I did come across some RC planes that had the same/similar graphics, but didn’t seem quite right, and they hadn’t been made in 4 or 5 years. So I’ll cut to the chase…..in order are the steps I took to paint this plane. Thank you to Bob Stinson for his input on paint as well as Michael at MotionRC. 3-4-5 are of the Real Reno Racer…….. The pics are step by step……so if you have any questions, feel free to stop by and ask at the field. NO sanding at all. 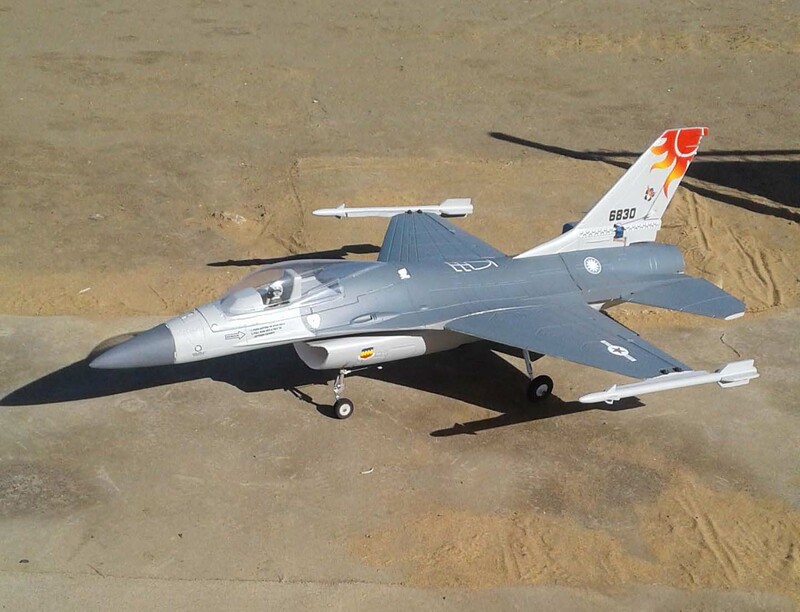 I was reminded by Motion, that it’s a 2 hunad dolla plane…paint over the decals……2 coats Primer ( after masking servos/canopy etc appropriately ) over the entire plane….piece by piece allowing 2 hrs or so between coats…then at least 24 hrs before applying the color. It helps when it’s sunny and warm!! This is the first time in 30 years I’ve attempted painting a model of any kind. SO, when you see her, stay back 10ft, and go WOW!! But don’t get any closer cause I DON’T WANNA HEAR IT ;-))) ie; she’ll pass the 10ft test……. As for the Graphics that are currently missing, they shipped today. Callie Graphics used the pics I sent her, to scale and design the graphics. Flames, Rudder stripe, and the numbers for the wings…. Jan 22 I got the electrics all done……she’s waiting on graphics…..Hoping to Maiden on Saturday the 27th. More pics from the field here.